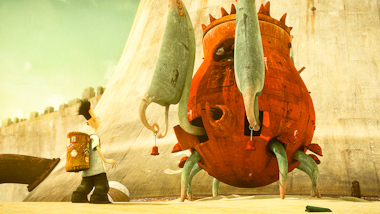 Based on the book of the same name by multi award-winning author and illustrator Shaun Tan, The Lost Thing tells the story of a boy who discovers a strange creature on the beach and decides to find a home for it in a world where people are too busy to notice it. Won the Oscar in 2011 for Best Animated Short. Fri, May 6 @ 9:30 a.m.
Mon, May 2 @ 9:30 a.m.